The entrepreneur’s brain at times can resemble the grand finale of a million-dollar fireworks show. Music’s blaring and things are blowing up all over the place. And while it’s pretty and entertaining, it’s also out of control, hard to follow, and a bit exhausting. It’s easy during these times for leaders to end up mentally drained and emotionally overwhelmed by the high-speed, explosive challenges that come with managing things like people, budgets, time, energy and other assorted resources. That’s because we typically neglect to properly manage the one thing that allows us to properly manage everything else–our brains. 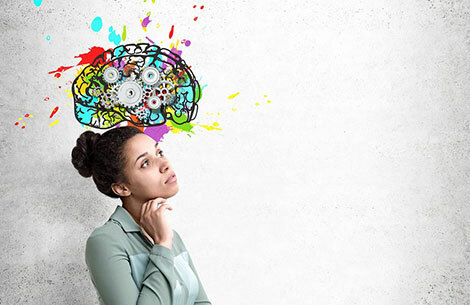 But Daniel Schmachtenberger, a founder of the Neurohacker Collective, points out that there are some tricks we can use–ways to hack our brains, if you will–that can help restore order to our chaos and balance to our leadership lives. Or any other part of our lives that’s bursting across the skies. Neurohacking, Schmachtenberger explains, is the “use of any technology to affect the brain, nervous system, and body in a way that affects cognitive capacity or psyche.” It’s more than biohacking, which typically focused on physical results like improving your running time. I wanted to hear and share Schmachtenberger’s perspective on how entrepreneurs (like me) can make better use of that mushy tool between our ears. Full disclosure: I was so impressed with what he had to say and with Neurohacker Collective’s flagship product, Qualia, that I signed on as a channel partner for the company. But this article was created independently of that, not as an exchange. It takes a certain type of mind to be a successful entrepreneur, he told me. No, he wasn’t talking about a warped mind, although that might be true, too. Successful entrepreneurs, he said, have a strong working memory, which allows them to hold lots of information and possibilities and thereby make better informed decisions. So I asked the obvious question: Is there a remedy for that overwhelmed, traffic-jam kind of a feeling that comes during the fireworks finale? Sure there is: Hack your brain. He recommends these two as starting points: One, “What’s the one thing I can do right now that increases my capacity to do everything else?” And, two, “If I could only work for one hour today, how would I spend that hour?” You can’t do everything, Schmachtenberger said, so you have to do what’s more important. The classic “Urgent-Important Matrix” originated with President Eisenhower, who recognized that the “urgent” isn’t always the most “important.” Many of the best leaders, Schmachtenberger says, seek to spend at least 90 percent of their time on things in the important but not in the urgent category. This requires disciplined delegation–you have to tell people to “figure it out” and trust them to do it. But the result is that you are “empowering people to be adults,” as Schmachtenberger put it, and training other leaders on your team. Physical activity frees the brain from stress because it creates favorable chemical reactions and because it restores a sense of power and control to the mind. So make time throughout the day to use your body in short bursts of activity. It will help you feel strong and at ease. You might work 30, 45 or 60 minutes, then take five to 15 minutes for the break. Then repeat that cycle. During the breaks, you do things like use the restroom, look out the window at some object in the distance to reorient your vision from small-screen fatigue, do a set of sit-ups or push-ups, practice breathing exercises, or just walk a bit–all physical activities that improve your mental approach to work. Remaining calm and mentally focused during the fireworks of entrepreneurship can make the difference in every decision a leader faces. So managing the brain well provides the foundation for a healthy and successful approach to work and to life.